Solar Frontier is a Japanese solar brand deriving from the parent company Solar Frontier K.K. that, in turn, is a subsidiary of Sekiyu K.K., a manufacturer that can boast more than 100 years of expertise in the field of energy production. Solar Frontier has been developing and supplying CIS (copper, indium, selenium) thin-film and crystalline solar modules for more than 30 years. In 2011, the Kunitomi plant was fully operational, becoming the largest CIS manufacturing plant in the world with a capacity of more than 900MW. This, together with the two smaller plants, Miyazaki One and Miyazaki Two, that have annual production capacities of 20 MW and 60 MW, took the company’s annual overall production capacity over 1GW. All these facilities specialize in the production of solar solutions suitable for lower energy applications and more important overall output needs alike. Solar Frontier headquarters are located in Tokyo, but the company relies on international offices and marketing branches in Europe, the U.S.A., and the Middle East in order to supply its products all over the world. 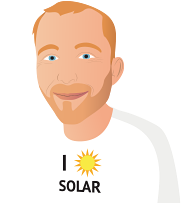 If you want to learn more about Solar Frontier’s set of PV solutions, make sure you browse the reviews here below from customers who bought their solar panels in the past, or take a look at the photovoltaic systems listed on this page to find the ones that best fit your requirements and needs. Nice looking from the road.